www.pda.org.uk does not actively track you as an individual. Should you send us an email, your name, email address and message will be emailed to us (as you would expect). This information is kept private. We will store this information within our own email system so that we are able to respond to you, or process your order. Should you wish to sign up for the newsletter your details will be held on a database until such time as you no longer wish to receive this information. Google Analytics: To understand how people use our site, and to discover areas on our site with issues, we use Google Analytics. Most websites use some sort of analytics program like this. The data it collects helps us see things like how many people visit our site, which country they are from, how many pages they visited, how fast our site loaded, and so on. All data collected is completely anonymous, it does not identify you as an individual in any way. Content management system (CMS): The website CMS is software that manages this site. It uses a cookie when logging in and out and is essential for proper website operation. It is only set if you are a registered user, so for most people it is not set at all. User data is all anonymous. YouTube: We do sometimes embed videos from YouTube. We do this using a privacy enabled mode. This means that YouTube may set cookies on your computer once you click on the YouTube video player, but YouTube will not store personally-identifiable cookie information for playbacks of embedded videos using the privacy-enhanced mode. To find out more visit YouTube’s embedding videos information page. 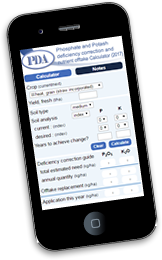 PDA is a UK-based technical support organisation. If you have chosen to share it with us, we use your address to contact you in reply to your message, or to send you information such as newsletters and leaflets if requested. If you have chosen to share it with us, your email may in the future be used to contact you to understand what you would like from the PDA or to understand better whether we are meeting your needs. Although newsletters are not currently emailed, this may change going forward and should you wish to receive the newsletter electronically, your email will be used for this purpose. PDA uses best endeavour to safeguard the confidentiality of your personally identifiable information but we do not use encryption (such as SSL) or firewalls to further protect the information as it travels across the Internet. We do not believe that the personal information we collect warrants this level of security. It is important to be aware that there is no such thing as “perfect internet security”. If any of the information we hold is incorrect it can be changed at anytime by sending an email through to us. Every newsletter sent out also gives you the opportunity to make any changes if they are seen to be incorrect. Please use the details on the contact us page to get in touch.